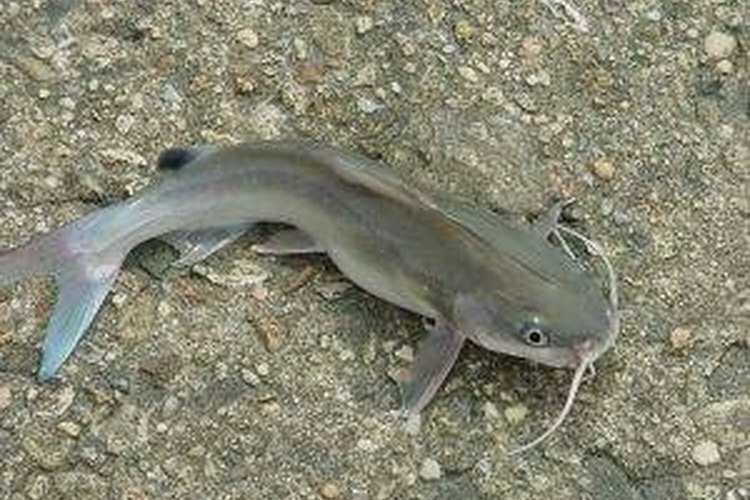 Catfish are so named because of the barbels they have on their face that look just like the whiskers on a cat. There are many different types of catfish, but none of them have any scales. Catfish is a delicious tasting fish that can be caught by fishermen and then prepared and served at home. The one thing you must have in order to catch your own catfish is a smelly bait. The smellier the better. This is because catfish have an amazing sense of smell. The nasty smell of the bait will draw the catfish right to the fisherman's hook. Take out a large bowl and begin placing the ingredients in it. You will need to add the bacon grease, oats, tuna fish, chicken liver, Limburger cheese, cornmeal and vanilla. Stir all of the ingredients until they are combined well. The ingredients will then appear doughy. Place the bowl out in the sun all day uncovered. Then bring the bowl in and mix it. Cover it overnight, but don't place it in the refrigerator. Set the bowl outside again for a second and third day. When you bring the bowl in at night, mix the ingredients and then cover the bowl. Roll the dough into small dough balls on the fourth day. These dough balls should then be used as bait to catch your catfish. Just stick the hook halfway through the dough ball and cast out into the open waters. You can substitute the bacon grease for animal fat if you have it. You may need to wear a mask. These dough balls are stinky enough to turn a stomach.